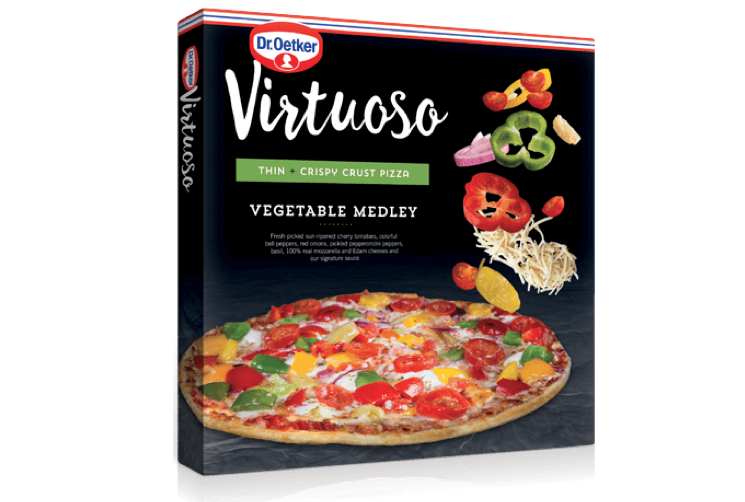 Dr. Oetker’s Virtuoso packaging incorporates a lot of trends happening in the microwave meal space. The chalky black background and playful, colorful toppings make it very visually similar to what Lean Cuisine has done with their Marketplace line. This is likely not a coincidence – according to a case study by Pearlfisher, Lean Cuisine’s redesign was instrumental in reviving the entire frozen meal category, and it makes sense that Dr. Oetker would take cues from such a successful project. 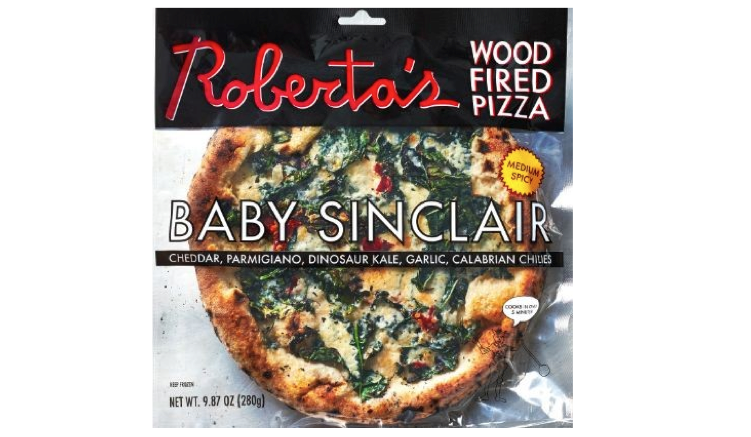 Roberta’s went outside of the box – literally – with this pizza-in-a-bag design. In addition to standing out for being different structurally, the full view of the product lets the appetizing toppings shine through. It also lets shoppers rest easy knowing that they are getting exactly what they paid for, removing the usual mystery of whether the actual meal will look as good as the glamorous hero shot on the cover of the packaging. Putting the product front-and-center of the package helps to induce impulse purchases, giving hungry shoppers a peek at what they could be having for dinner. 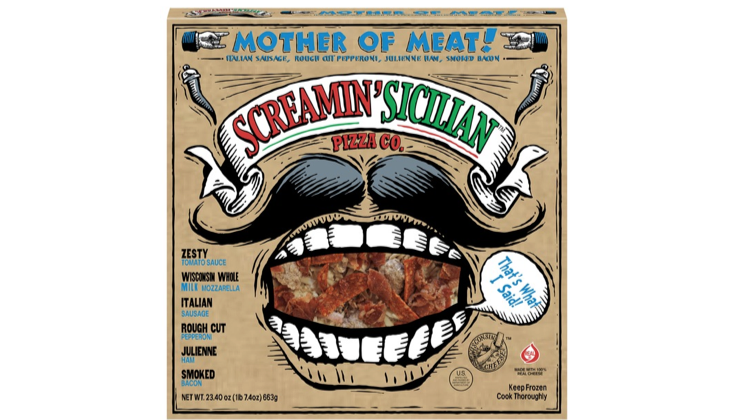 Screamin’ Sicilian’s use of quirky illustrations really sets it apart from most products in the freezer section, not just other pizzas. While many competitive brands choose to appeal to busy families, Screamin’ Sicilian goes for a more millennial-focused design. This packaging could have turned off some shoppers with its aggressiveness, but we feel that they successfully pulled off a design that is both edgy and appetizing. 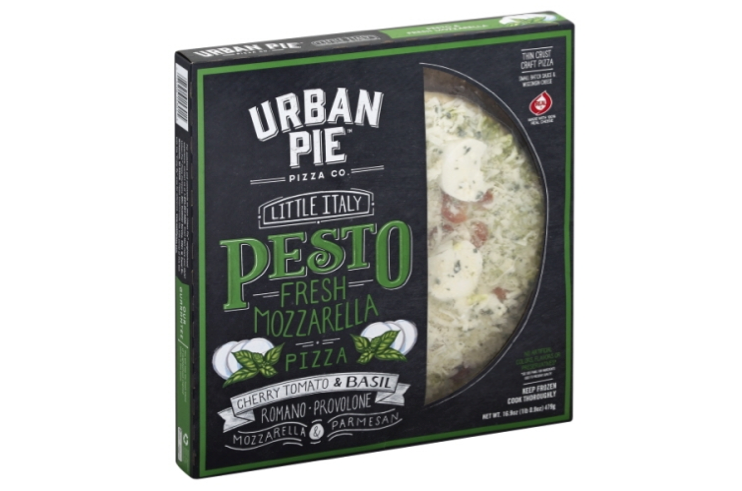 The chalkboard style of Urban Pie’s packaging is very charming, and reminds shoppers of a traditional pizza shop with its daily specials written out on a board. Even though the pizza is obviously frozen, the packaging creates the sense that it might taste fresher and more homemade than alternative options. 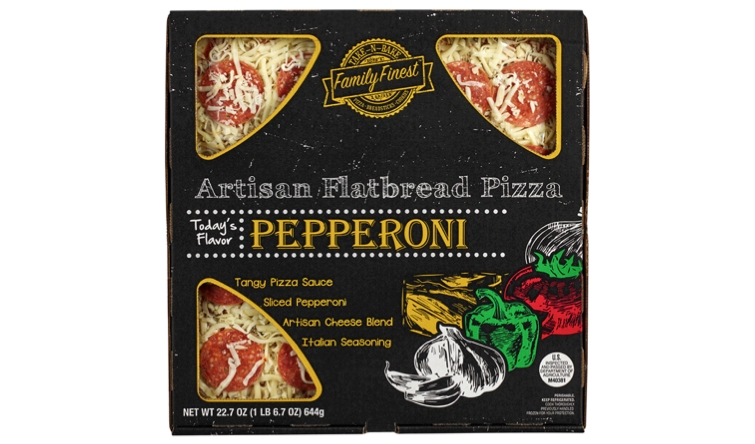 Family Finest made a really interesting choice with having three corner windows on their Artisan Flatbread Pizza packaging. Even though it’s a square pizza, the windows cleverly create traditional slices. Like Urban Pie’s design, the chalkboard illustrations also add the appeal of a restaurant-quality meal.